The Comox Valley Council of Canadians and other public health care groups invite residents to attend a special town hall featuring the organization’s national chairperson Maude Barlow on the future of public health care, October 21. 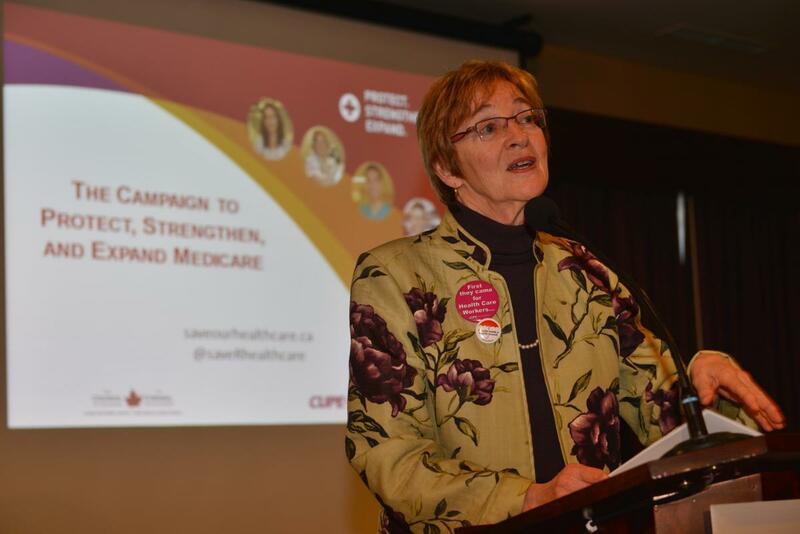 “Medicare needs to be expanded, not dismantled, as Canadians value a system where access to care is based on need, not on ability to pay,” said Council of Canadians national chairperson Maude Barlow. On March 31, the 2004 Health Accord expired and so did billions of dollars in federal health care transfers each year to British Columbia and the rest of Canada. In all, $36 billion in federal medicare funding over the next decade was cut unilaterally by the Conservative government, compromising national standards and funding for health care, say health care experts. Where: Filberg Centre, 411 Anderton Ave., Courtenay. • Barb Biley, Hospital Employees’ Union regional vice-president. There will be opportunities for audience members to ask questions and share their concerns about the future of public health care. • the Canadian Union of Public Employees.